Step-through latency between two rooms is automatically measured. User-friendly software allows researchers to build complicated protocols by controlling light and sound cues, foot-shock and the sliding door. Can be used for both active and passive avoidance protocols. Useful for evaluating learning and memory functions in rats and mice. Freezing behavior in response to foot shock is visually detected by the system, Easily programmable software allows researchers to create custom trials with sound or light cues. Total freezing time, number of freezing, freezing latency after stimulus can be measured. Used for evaluating the fear or anxiety relaed memory response. Post traumatic stress disorder (PTSD) can be modelled in animals using FCS-RM equipment. Records the locomotor activity parameters such as ambulatory, horizontal and vertical activities of rats and mice for up to 24 h.
Useful for monitoring baseline locomotor activity, the locomotor stimulant or inhibitory effects of drugs, development of locomotor stimulation or tolerance. Equipped with IR sensors and USB computer connection. 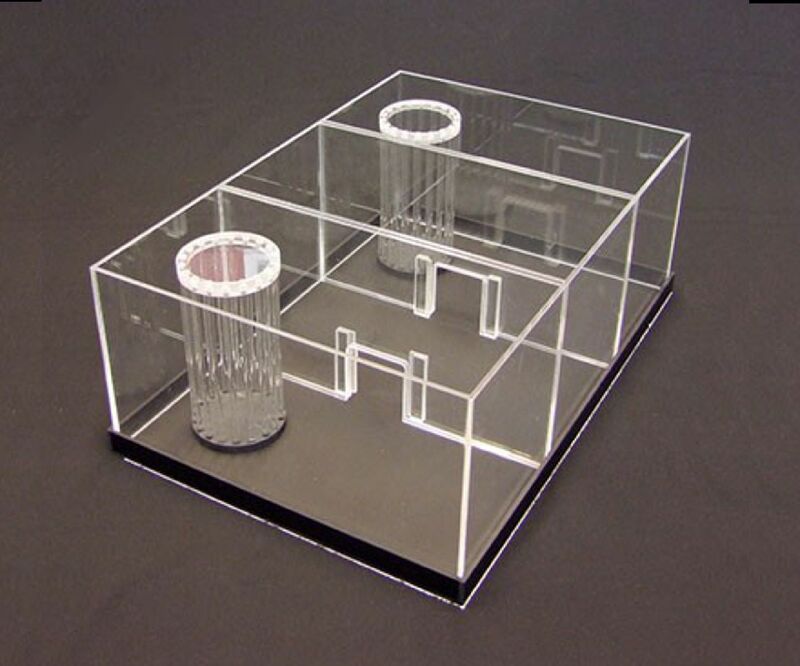 The floor size of Plexiglas cages are 40x40 cm. 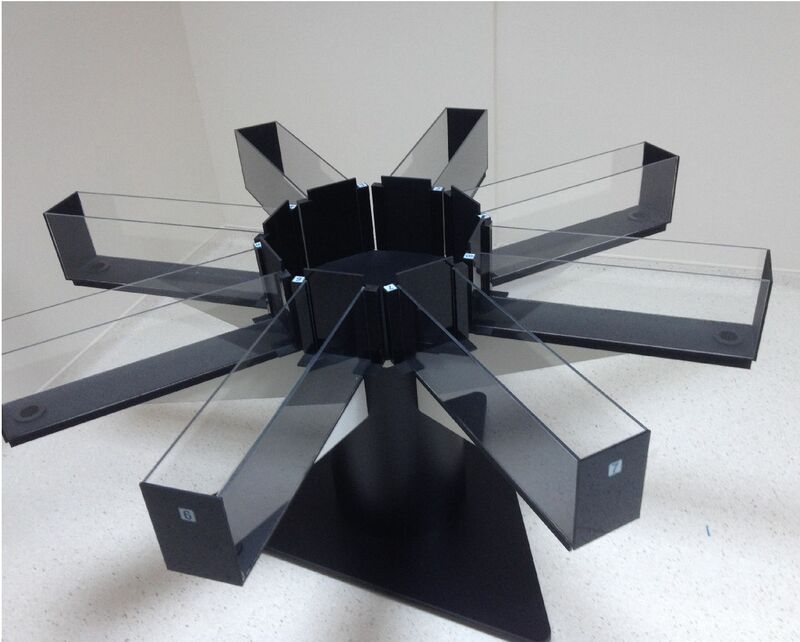 Custom made open field cages are used for general observational purposes. 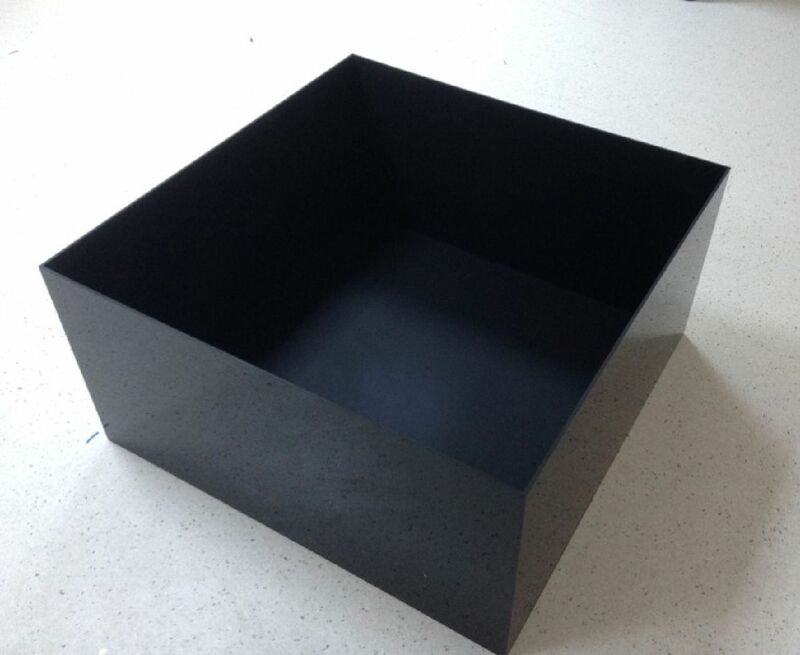 The size, color and the materials can be adjusted according to the needs of the researcher. They are suitable for using with Noldus Ethovision video tracking software. Time spent on open and closed arms and entrance counts were measured. The rats and mice have different maze sizes. They are suitable for using with Noldus Ethovision video tracking software. Useful for evaluating anxiety in rats and mice. The classical test for evaluating spatial learning and memory in rats and mice. The water maze has an advantage of not allowing odor cues compared to radial arm maze. The swimming path and the latency for reaching the hidden platform are recorded and measured besides many other parameters using Noldus Ethovision software. The water tank is equipped with a heating unit. Upon request, the standard platform can be replaced with the Atlantis platform. The doors can be controlled either manual or automatic. The classical test for studying antidepressant treatment agents. 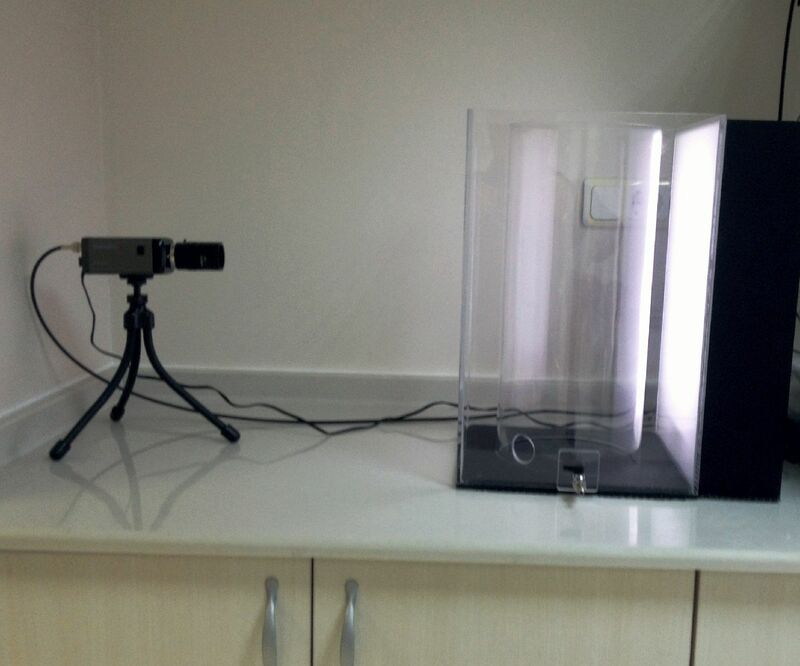 Our design simply corrects the refraction of the cylindrical swimming area, and make possible to automatically track the animals using Noldus Ethovision software. The backlight design also increase the contrast and help software for recognazing the animal behavior. Records the fall down delay of rat or mouse from the rotating bar. Useful for measuring motor activity and motor coordination, Equipped with IR sensors for sensitive detection of fall down delay. 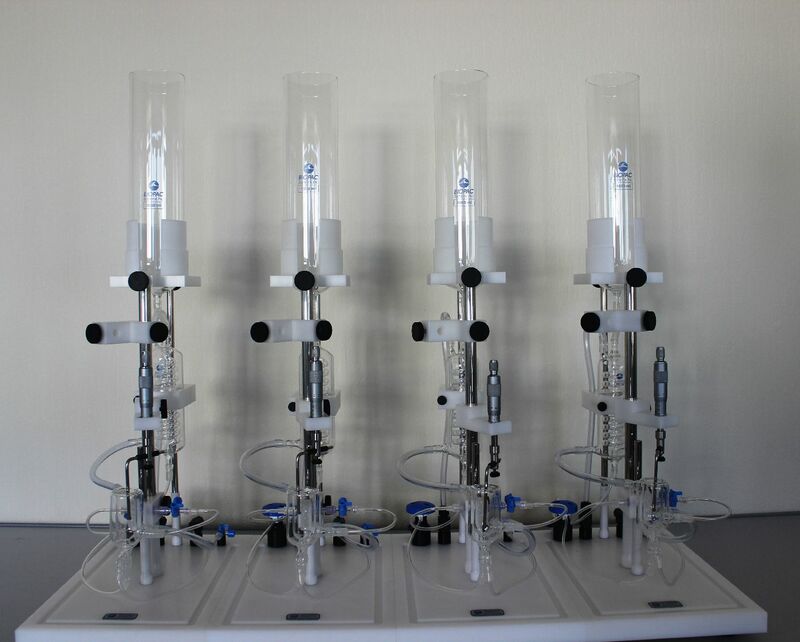 Up to four animal can be simultaneously tested. 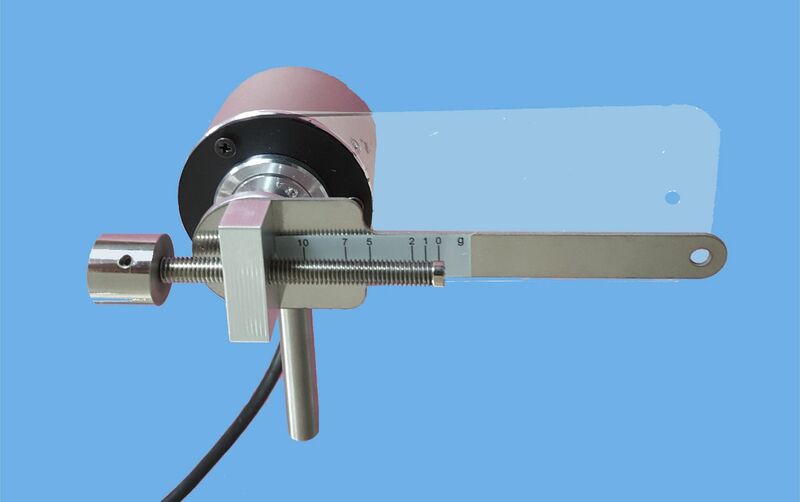 The rod rotation can be adjusted between 2-48 RPM fixed or accelerated in 1 to 10 min. In built memory keeps 256 measurement results and let transferring to a computer by using a USB memory stick. Autism-like behaviors related with social interaction, social memory, and pair bonding can be studied in mice. Hierarchical behaviors can be evaluated. Suitable for using with Noldus Ethovision video tracking software, Transparent grids let the observer clearly evaluate the animals. 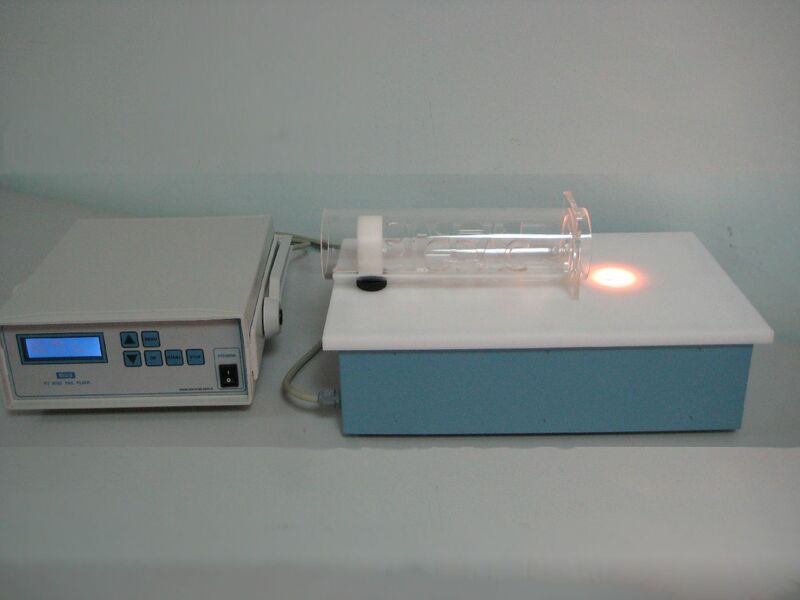 A classical tool for measuring isolated tissue dynamics and responses to the drugs. Durable and high quality material, user friendly design, perfectly crafted elements. 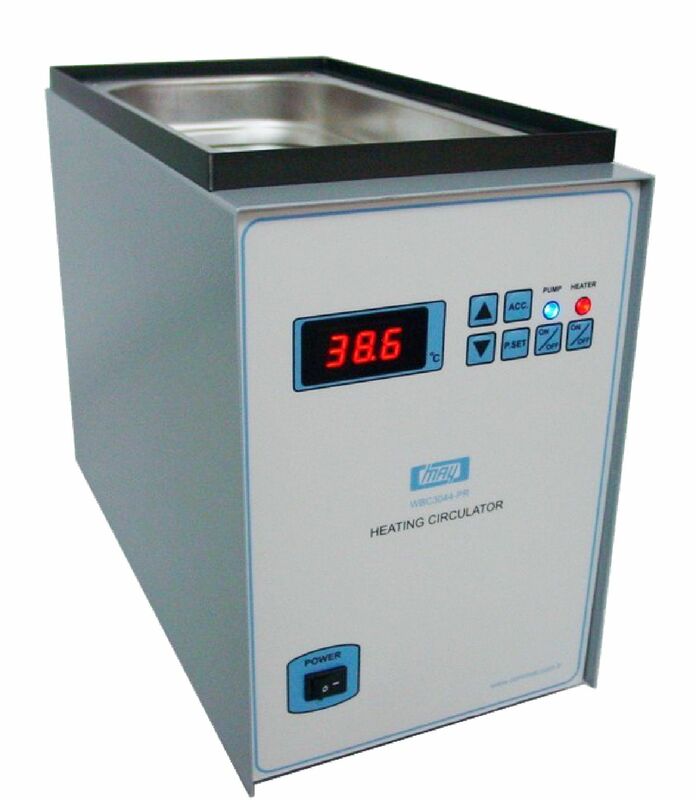 Heated with water circulator. Equipped with electrical field stimulator on demand. The bath volume can be 5-10-20-30-50 mLs. Compatible with standard data acquisition systems, such as Biopac MP160 and MP36. Perfectly meets the need for stable heated water circulation for systems such as tissue baths. 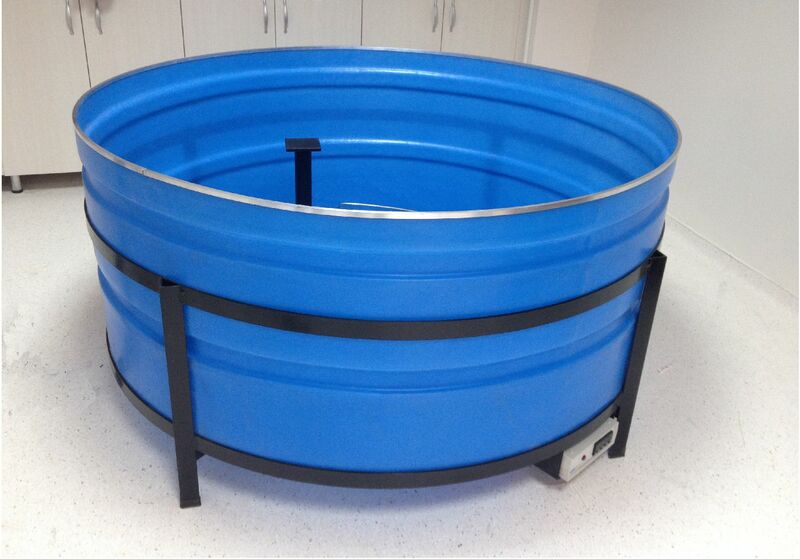 Produced stainless steel water bath (4.5 L) and highly durable materials. Has a heating temperature range between 30 - 44 °C. The sensitivity for tempertaure adjustement is 0.1°C. Can circulate the heated water 2 L/min. 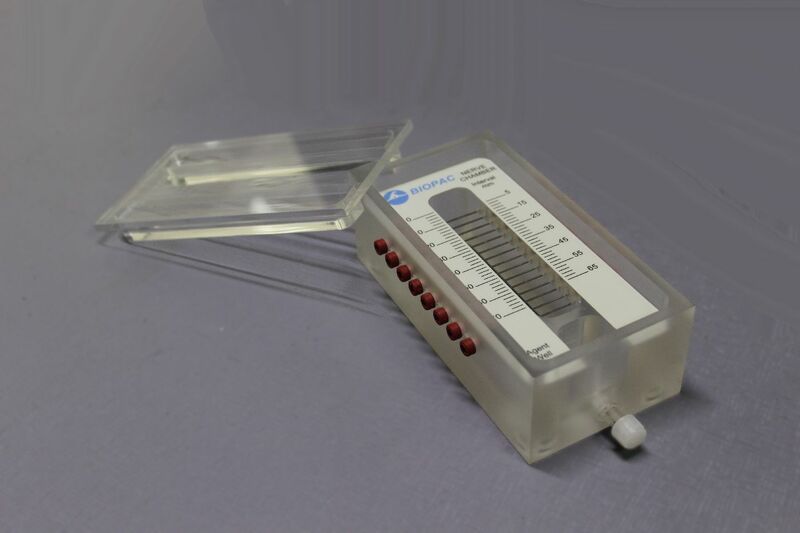 A user friendly and stand-alone system for evaluating tissue responses. 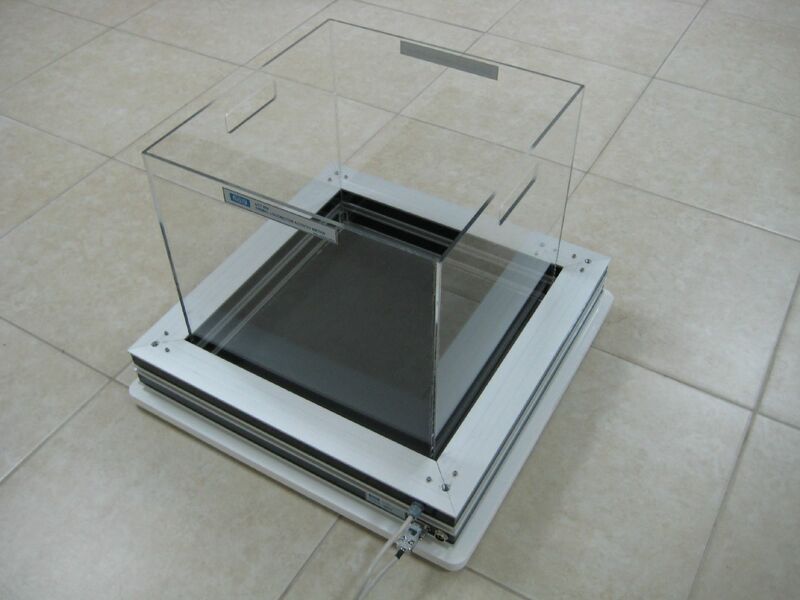 The filling of the bath with solution from the reservoir and disposing the bath solution are easily performed. The bath is heated by circulated air with a sensitivity of 0.5°C. The 600 cc reservoir is heated independently. Equipped with electrical field stimulator on demand. Compatible with standard data acquisition systems, such as Biopac MP160 and MP36. Systolic and diastolic blood pressure, and BPM of rats were noninvasively measured through the tail cuff. An animal heating unit is also included in the system. 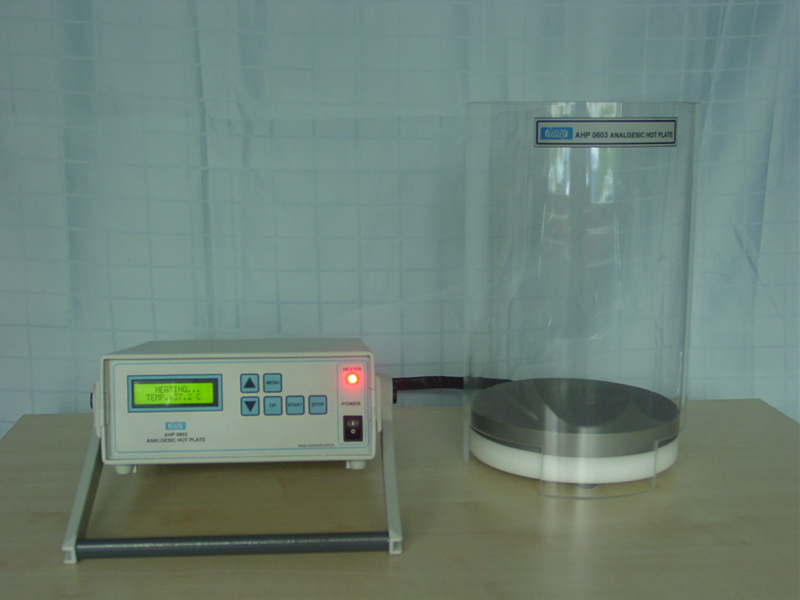 This standalone system (NIBP250) does not need a PC link. The NIBP200A system is compatible with Biopac data acquisition system. Consist of rolling belts with an adjustable speed and slope. Useful for testing fatigue with forced exercise training. 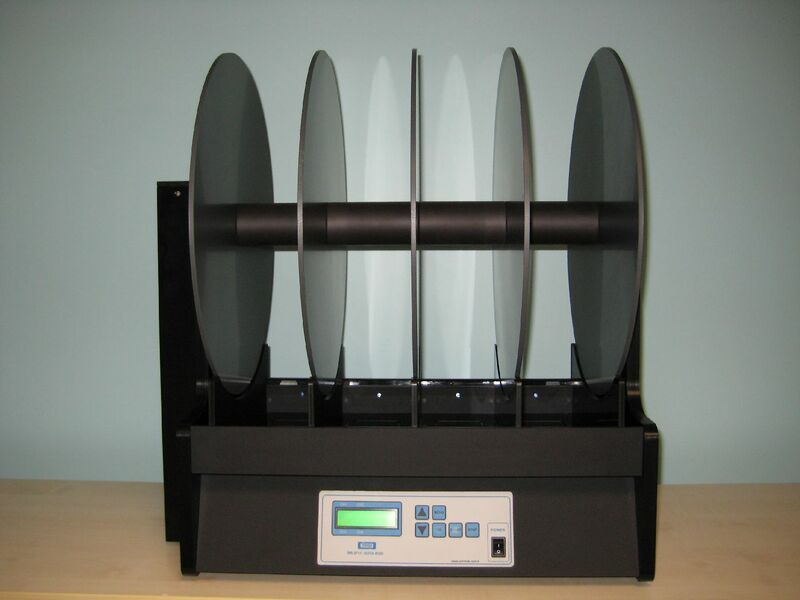 Allows simultaneously testing five animals at independent velocities up to 3,5 km/h. Accelerating time can be adjusted between 1-15 min. 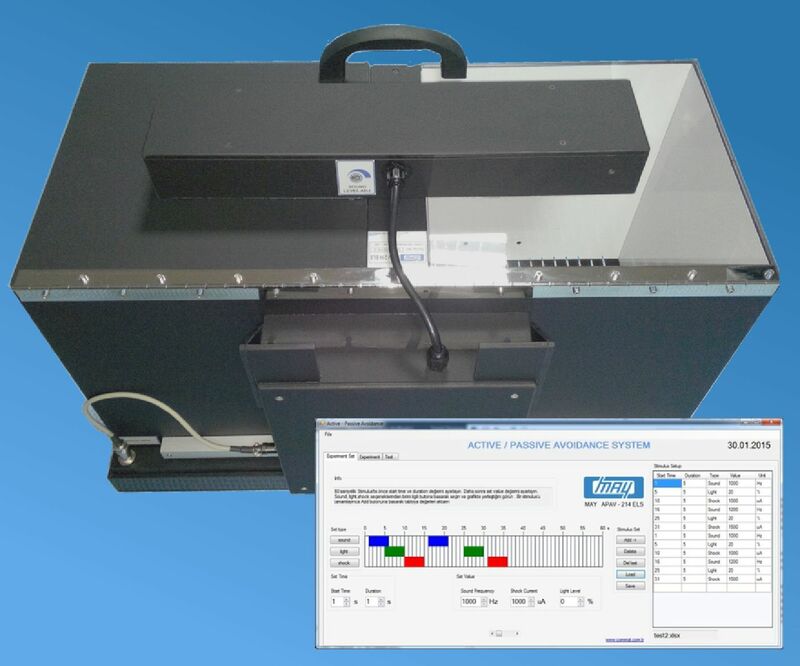 An adjustable electrical stimulus can be applied through the grids, Built in control with LCD panel shows current velocity, RPM, and test duration, also keeps the results up to 256 tests. Useful for recording and stimulating a variety of different nerve preparations. The conductance velocity of a nerve can be measured with a sensitivity of microseconds. Compatible with Biopac MP160 and MP36 systems. Produced in four different sizes. The length of the holders can easily be adjusted according to the animal size. Can be used with non-invasive blood pressure systems (NIBP250 & NIBP200A), tail flick system, and injections from tail. 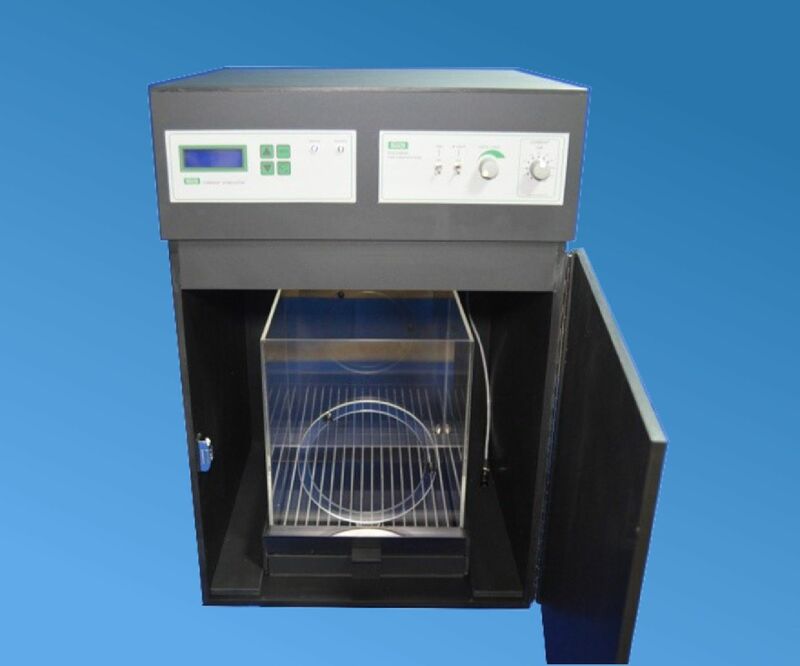 Ideal for the physiology and pharmacology lab courses using frog muscle, hearth and other tissues. Compatible with classical data acquisition systems such as Biopac MP160 and MP36. Durable and high quality material, user friendly design, perfectly crafted. 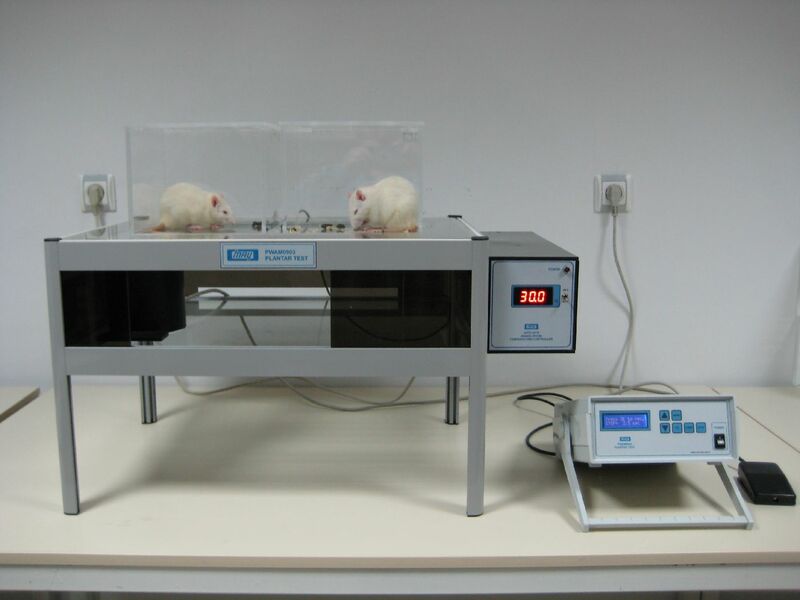 The heated operation table is designed for rats and mice. 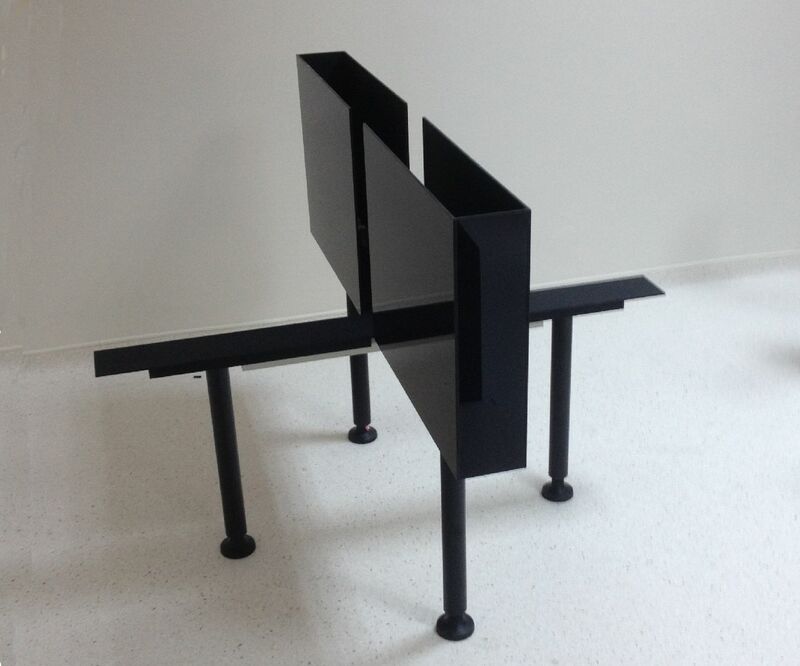 Can be moved and fixed between an angular range of ±45° at horizontal plane, and 360° at vertical axis. 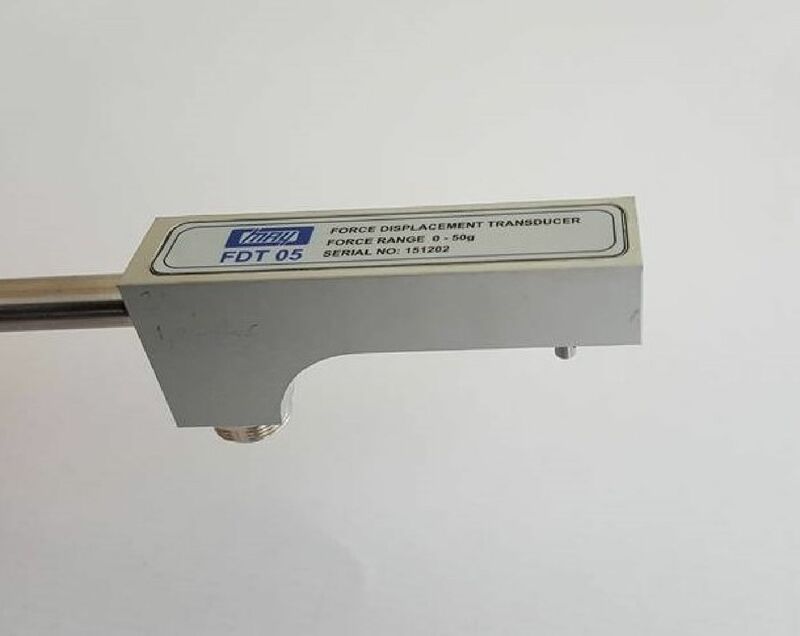 The heat of the table or the body temperature of operated animal (via rectal temperature probe) can be adjusted between 30-44°C with a sensitivity of 0.1°C. 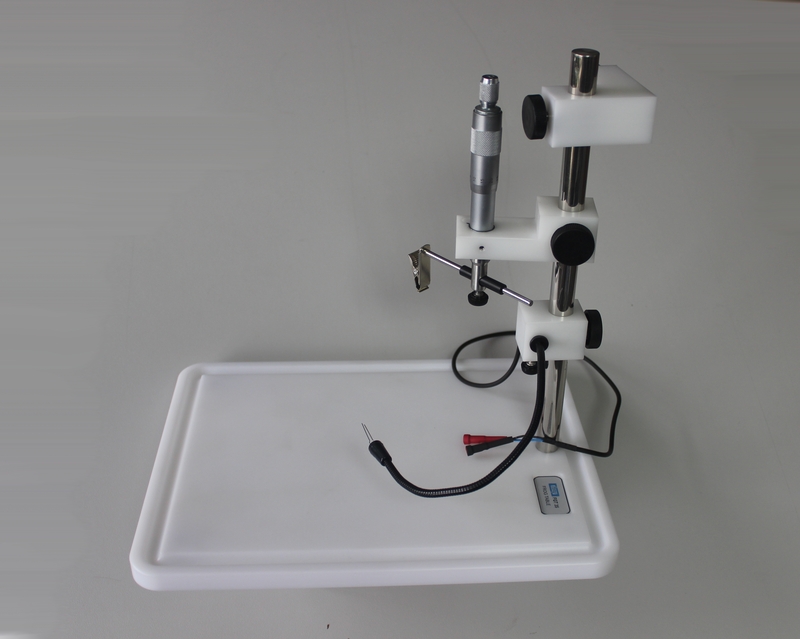 The vacuum operated stand can be fixed any smooth surfaces.. 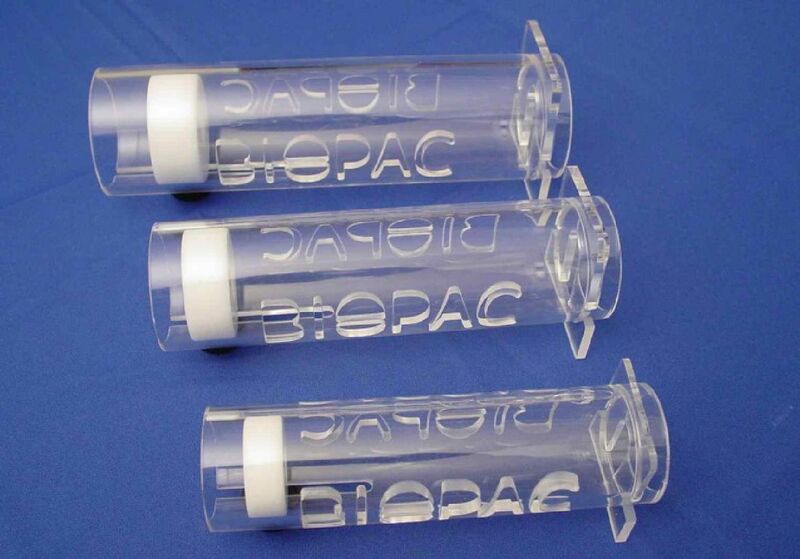 Originally designed and produced to meet needs of the researchers studying muscle tissue contractions. Perfectly fits the isolated tissue bath systems. The sensitivity range is 1-50 mg. Compatible with Biopac MP160 and MP36 systems. Originally designed and produced to meet needs of the researchers studying muscle tissue contractions against a standart force. Perfectly fits the isolated tissue bath systems. The displacement sensitivity is 0.3 mm, and the displacement range is ±3 cm. Compatible with Biopac MP160 and MP36 systems.. 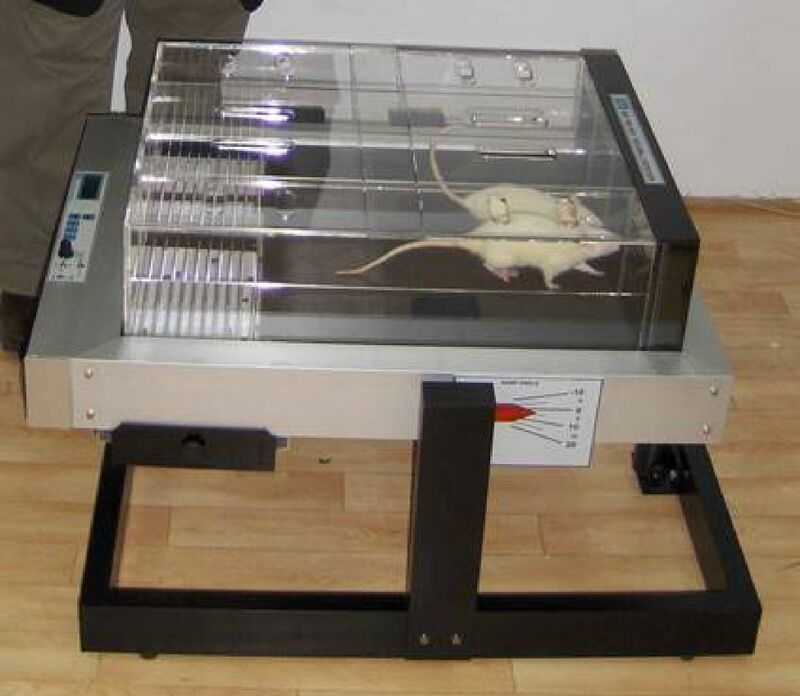 Measures the tail-flick latency of rats and mice in response to pain induced by heat lamp. Useful for monitoring pain threshold. Upward design of the heat lamp allows the researchers perform the experiments comfortably. Designed according to Hargreave’s Method. Plantar surface of rats aimed and heated by an infrared system. The heater controlled by an button, the latency to paw withdrawal is recorded automatically. 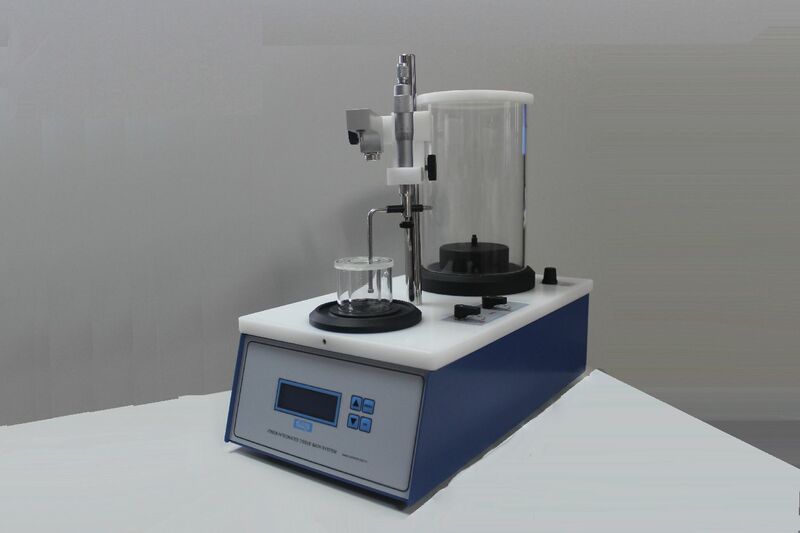 The plate is homogeneously heated between 30-60°C with a sensitivity of 0.5°C. The latency for paw licking response indicates the pain treshold. 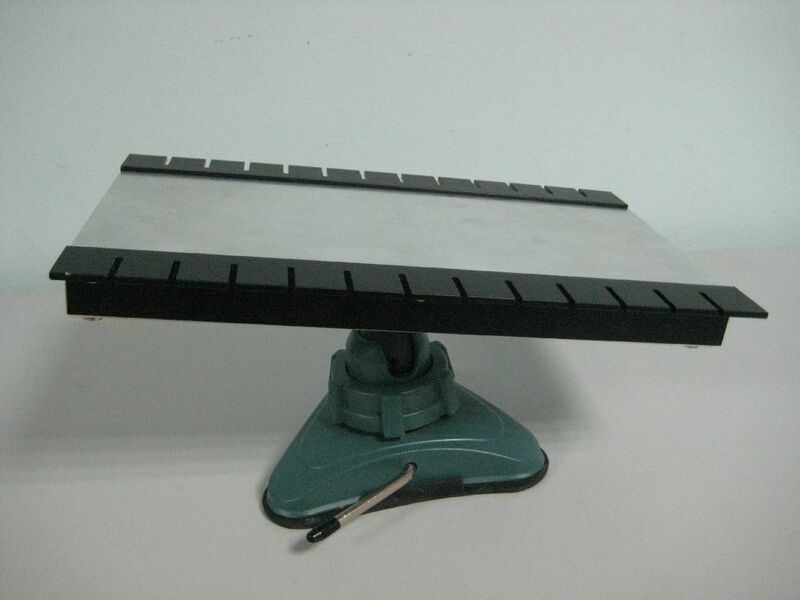 The plate is made of durable and easy to clean materials. The heatin unit is microchip controlled. Copyright (c) 2018 Commat Ltd.